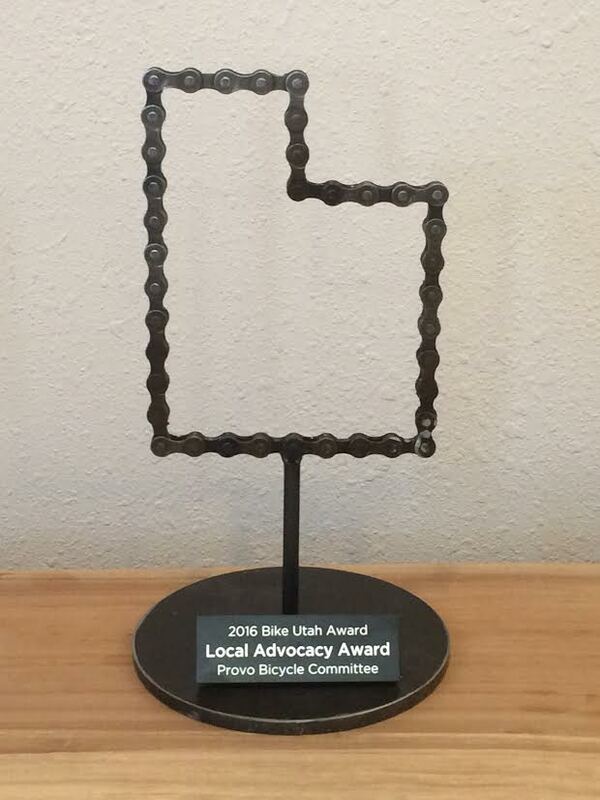 Congratulations to the Provo Bicycle Committee! This dedicated group was recently recognized for their tireless efforts with the 2016 Local Advocacy Award from Bike Utah. A delegate from the committee received the award on behalf of the group, including current chair Aaron Skabelund and former chair Zac Whitmore. If you’re a part of the committee, give yourself a well-deserved pat on the back! Because of you, we’ve made some incredible progress. If you’d like to join in the fun, sign up to receive updates about committee meetings and projects. Everyone is invited to participate and give what they can.